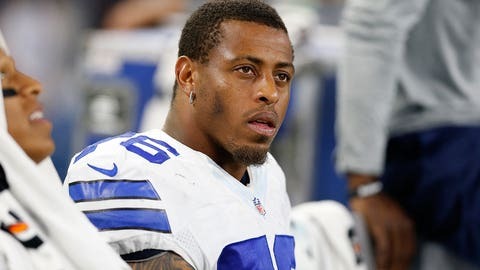 Greg Hardy has made a big impact on the field since returning to the Cowboys from suspension. The sideline argument between Dallas Cowboys defensive end Greg Hardy and wide receiver Dez Bryant stole the headlines after the team's Week 7 27-20 loss to the New York Giants, but lost in that was the impressive play on the field from Hardy. After racking up two sacks in the Cowboys' most recent game in Week 5, Hardy was at it again. He sacked Giants quarterback Eli Manning, and that's not easy to do — the Giants have allowed just 6 sacks all season. Hardy finished the game with one solo tackle in addition to the sack and countless quarterback pressures. He is quickly emerging as one of the Cowboys' best defensive players.